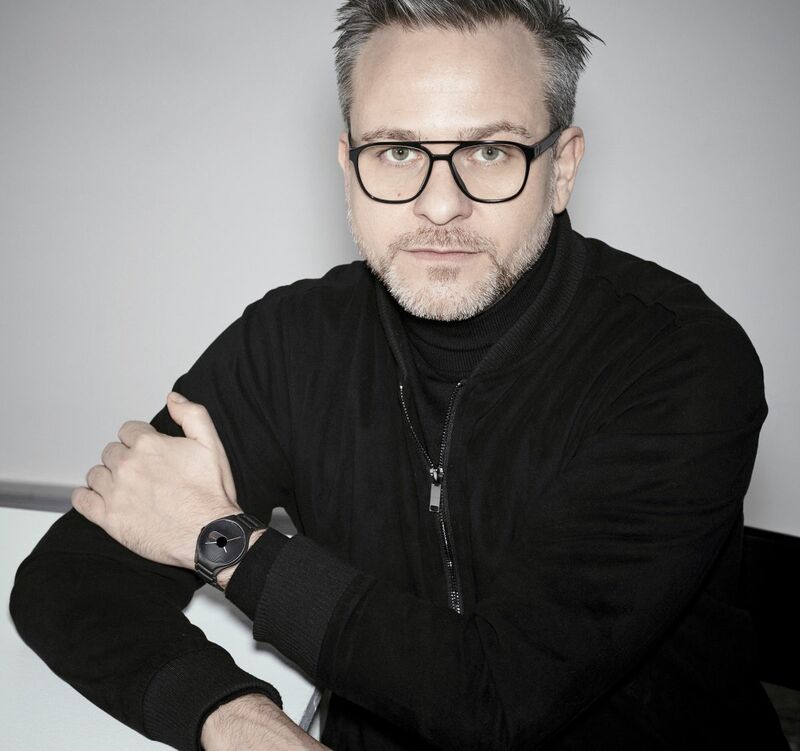 Swiss watchmaker Rado, appeared at the Baselworld 2017 with the True Stratum model created by the Austrian designer Rainer Mutsch. 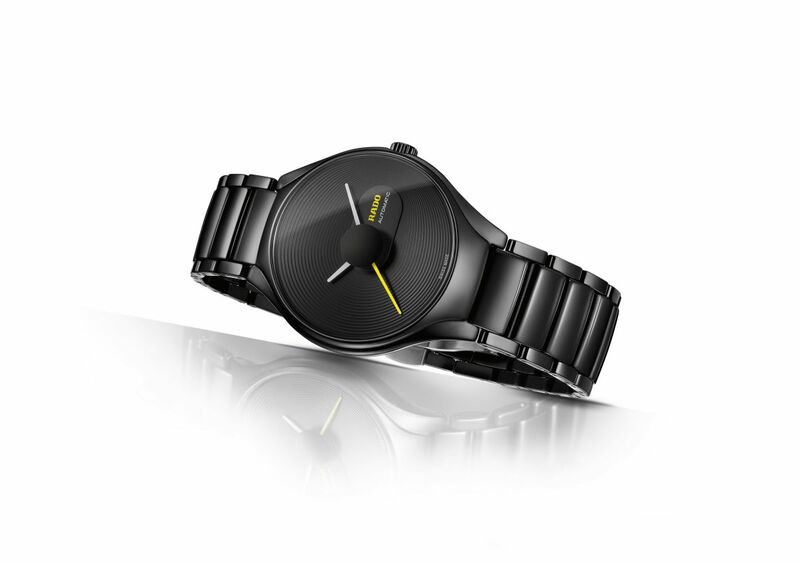 Asymmetrical circular lines are used in the black dial model. 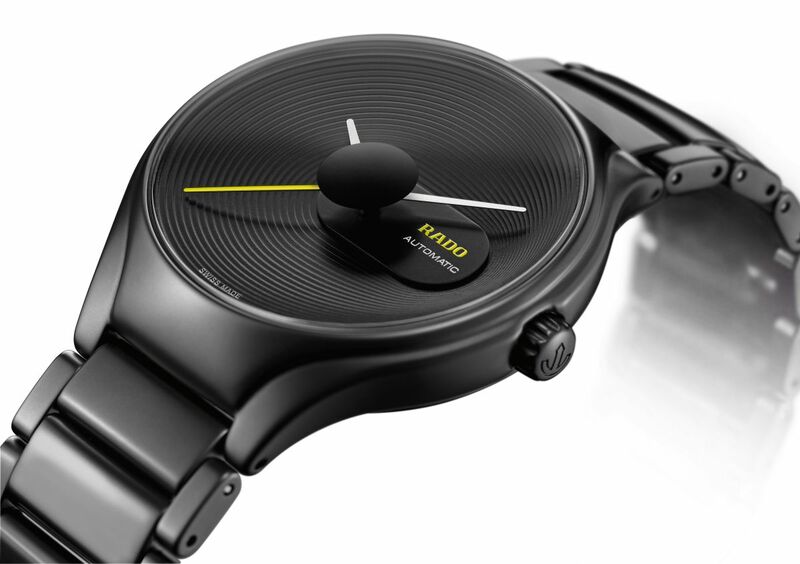 The dial has a concave form that evokes the contour lines on the map. A space is left between the dial and the round plate that holds the hour, minute and second hands. I got the impression that the hands are floating on the air. 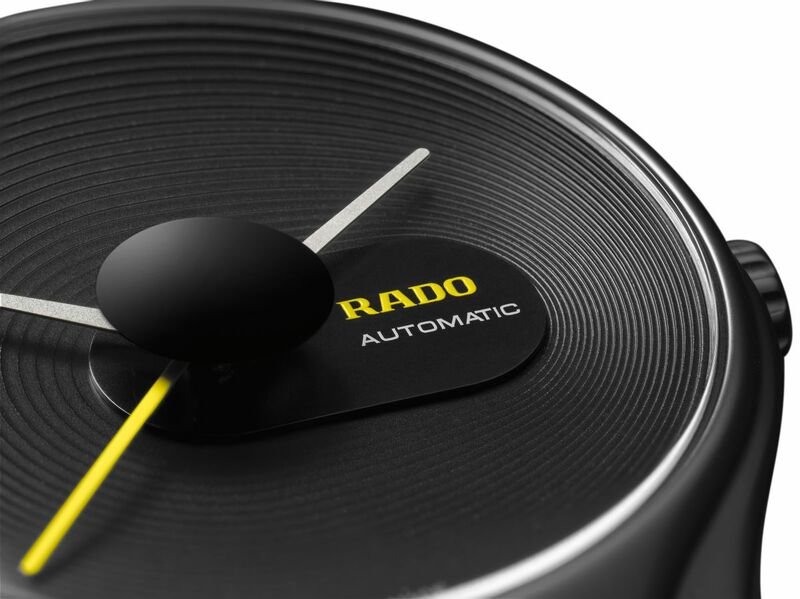 The RADO writing and second hand in finished in bright yellow which contrasts with the model’s minimalistic design. 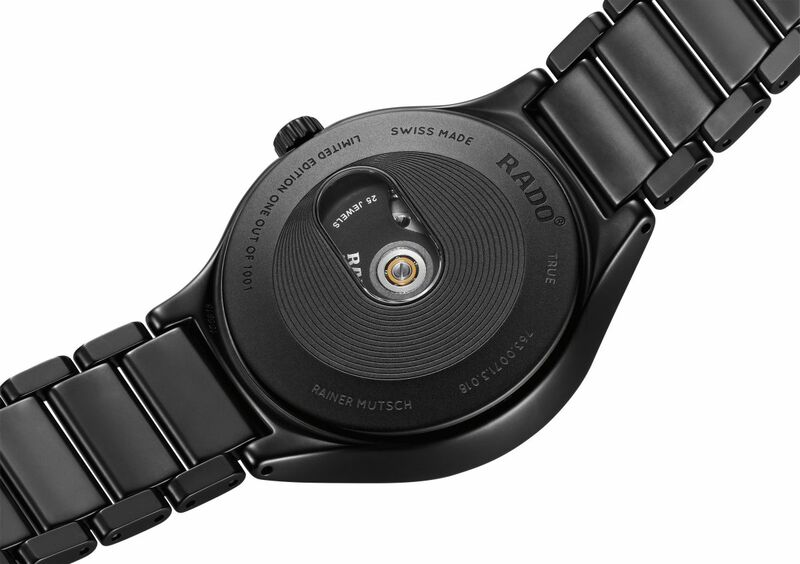 Like many previous models in the Rado collection, the case that measures 40.1 x 47.3 x 10.5mm is made of fine ceramics. The case features a scratch proof sapphire crystal on the front side. The day time legibility of the watch is quite good thanks to its contrasting hands and three dimension dial design. However, it’s hard to say the same for night time legibility as the watch does not have SuperLuminova phospor material.The model, which will be limited production with 1001 units, offers water resistance value of 50 meters. To avoid allergic conditions, PVD material is used on titanium caseback of the watch. It is possible to see the movement partially thanks to the small oval display on the caseback. The new model is powered by the Caliber ETA C07.611. Self-winding movement offers 80 hours power reserve when fully wound. The bracelet is made of high-tech matt black ceramic and accompanied with a folding clasp.